For use in Men or Women. 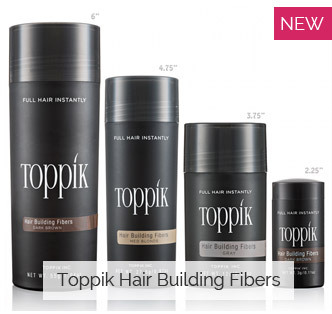 Stimulate new hair growth with the only clinically proven, FDA approved hair-growth stimulant on the market! This is the 5% topical Liquid Minoxidil version. Includes: One 60mL bottle, applicator, and information booklet. For use in Men and Women! 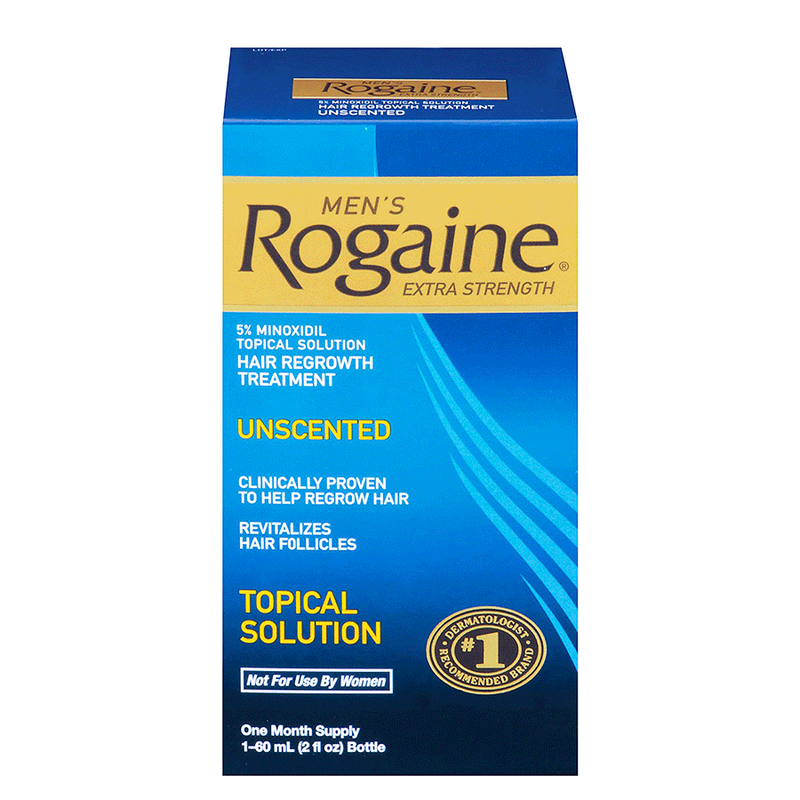 Despite what it says on the box, Women can and do use Rogaine Extra Strength. The manufacturer was not given permission to make claims for hair growth in women, but it works equally as well. Women run a slight risk of developing peach fuzz on their forearms or face. If this becomes a problem, you can just discontinue treatment, but it is usually not an issue. For both Men and Women, this 5% formula is considered significantly more effective than the original 2% version. Women's rogaine comes only in a 2% version. You're looking at a 64% effectiveness rate with the 5% as opposed to 30% with the two percent version. While this may still seem like a mediocre success rate, it still works in the majority of people, and is a great treatment to combine with other growth stimulants like Tricomin Therapy Spray (pictured right). Who is Rogaine Extra Strength For? Rogaine Extra Strength is for men and women seeking to increase hair counts. Despite what the box says (here we go again), this treatment *is* effective for frontal hair loss, thinning, and recession. Another example of the FDA restricting what the manufacturer can claim on its official marketing materials. This however does not translate into complete ineffectiveness in the un-mentioned areas. 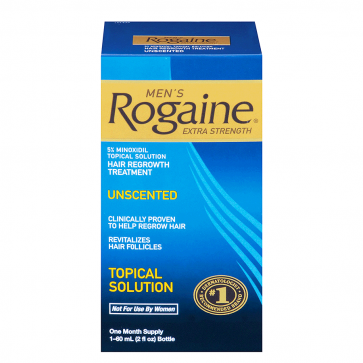 Rogaine is part of the famous "Big Three". 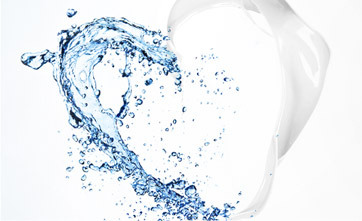 This is a term coined to describe the most effective core products in a successful hair loss treatment regimen. It includes a clinically proven growth stimulant, clinically proven antiandrogen, and clinically proven anti-inflammatory. 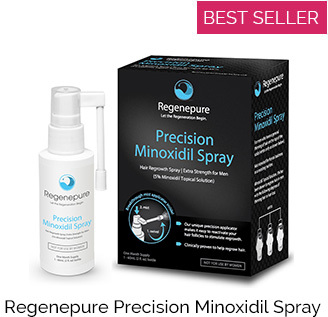 Typically this is Rogaine, Propecia, and Nizoral, but in the last few years several promising adjunct and natural treatments have been created which have solid science backing them in each of these three areas. One can now use Tricomin Therapy Spray, Revivogen or S5 cream, and RegenePure DR shampoo (or any other Ketoconazole 1% shampoo) to attain this goal. There are several other treatments as well. Using the "Stimulate" "Prevent" and "Calm" sections of this store should give you some good options. The big hitters are listed to the right on this page.